In marketing, content is king. With the widespread adoption of social media, marketers are becoming more like publishers, generating content to educate and engage customers, rather than promote their products. Recruitment organizations are also reaping the benefits of content marketing. Good content has proven effective in establishing relationships with candidates and enhancing the perception of the talent brand. Such valuable information helps candidates professionally, builds trust, and creates positive feelings toward the company. The end result is an increase in talent acquisition effectiveness. According to research, a strong talent brand can translate into 50 percent savings in cost per hire and 28 percent reduction in employee turnover. So what does the future hold? We see a future of recruitment content marketing that is less about the impact of words, and more about the experiences created and actions triggered. Interactive content is a seldom-used secret weapon for winning the intense competition for candidates’ attention. The purpose is to foster a two-way conversation that requires the candidate’s active engagement. Interactivity brings the enthusiasm and influential power of a real live interaction, to a job ad, career page, blog post — or anywhere else you might want to attract your candidate. Unlike static content that may or may not even be consumed, interactive content creates an exchange of explicit data between participants. Engagement and consumption of interactive content can easily be tracked and reported on. Using the white paper example, the employer branding professional knows only if that content was downloaded — not if it was read or shared. On the other hand, the engagement with an interactive white paper can be specifically measured down to which actions were taken and for how long. Using this data, recruiters can measure with complete accuracy the relative effectiveness and value of their content marketing efforts. Interactive content is a unique differentiator. Other than being more approachable, it offers clear usefulness and utility — less time and effort, and more value. And until every employer branding professional is an interactive content marketer, your recruitment organization has an instant competitive advantage. Interactive content marketing is effective because it taps into our competitive nature to compete, share their opinion, and have fun. Winning interactive content encourages the user to interact, enjoy the process, and gain valuable insights about the employer and its culture without the feel of being targeted. The primary focus is on discipline while the second is on conversion. If you are developing interactive content, gauge success of such recruitment marketing campaigns by total shares or average session time instead of click-through rate. But it’s neither about you nor about direct lead generation. The thinking should be around giving value to your candidates to make them want to apply to your job opportunities if there’s a mutual fit. Are You Ready to Lead the Interactive Content Marketing Charge? Building interactive content can be time-consuming and expensive compared to more traditional approaches such as blog posts and white papers. Not all recruiting marketing teams are avid publishers, and most brands don’t have adequate human and technical resources to easily produce interactive content. Not only will you need to come up with ideas and write great content around them, interactive content requires design and development skills. It’s hard enough to keep a steady flow of relevant and optimized content, let alone embed interactive experiences into such content. 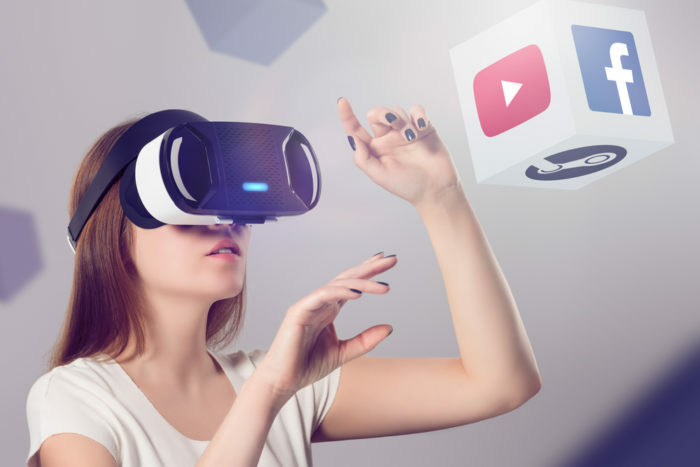 Recruitment marketing organizations that put candidates’ interest at the heart of their interactive content marketing initiatives and not get blinded by lead generation tactics will flourish and lure candidates away from their competitors. As the content marketing surge continues, new and creative ways of building highly engaged talent communities will be required. Candidates will expect something special, not just an opinion and a well-written article. Infographics are one of the most shareable types of content. They generate 45 percent more search volume and traffic than most content. So how can you go a step further and make them interactive? Infographics are already visually stunning, but they can still create greater engagement beyond simply scrolling to view them. An approach is to get users to click in different places of the graphic in order to reveal more information. Engagement is elevated because it encourages kinetic learning; that is, people will learn and retain information more easily through intervention (even minimal ones such as a click). Quizzes can help you gather candidate persona information over time. Much like infographics, they increase engagement and generate leads because of their interactive nature. An example would be to use your images and create a sliding puzzle. Candidates would play the puzzle in order to uncover some information (e.g. company mission, employer values, corporate event, etc. …) about your talent brand. In the content marketing world, video is still probably the most engaging format you can create. Still, videos are a relatively static medium. Interactive video gives your audience the choice of engaging and taking part in the video as opposed to simply viewing it. Viewers can interact with certain elements by clicking on them, or even touching the screen if the video is optimized for mobile devices. Making one could be as simple as adding interactive hotspots, which are basically motion tracking tags that follow a person in the video. A viewer can click on these hotspots and learn more about what’s being tagged — giving you an opportunity to provide more information on your employees or even corporate culture. What good is content if people don’t actually see it? In fairness, as with any content, the distribution of interactive content is a matter of getting it in the right places to the right people. As always, start with your owned media. Your candidate list from your CRM, and other connections, are the first source of traffic you should tap into. You should also distribute them on social media through paid ads to increase your reach. Talent communities are also a great source of traffic. Generating awareness and connections with the members of niche communities can provide you with a loyal audience. The more people love your content, the more it’ll get shared on social networks. If you’re not already using any of those, first determine whether your target audience is there. Then test on a small scale and increase your budget as you see results come in. The common thread that ties these various forms of interactive content together is the word “yes”: When candidates interact with your content, they’re not just reading, watching, or scrolling; they’re committing to the content and giving you a “micro-yes” every time they click or progress through it. And when they arrive at the end of a particular piece of interactive content, the likelihood of their clicking a call to action or applying to one of your jobs will have become higher. They’ve already invested in the content itself; conversions will therefore increase.